That is a pretty funny comparison... There are some similarities for sure. 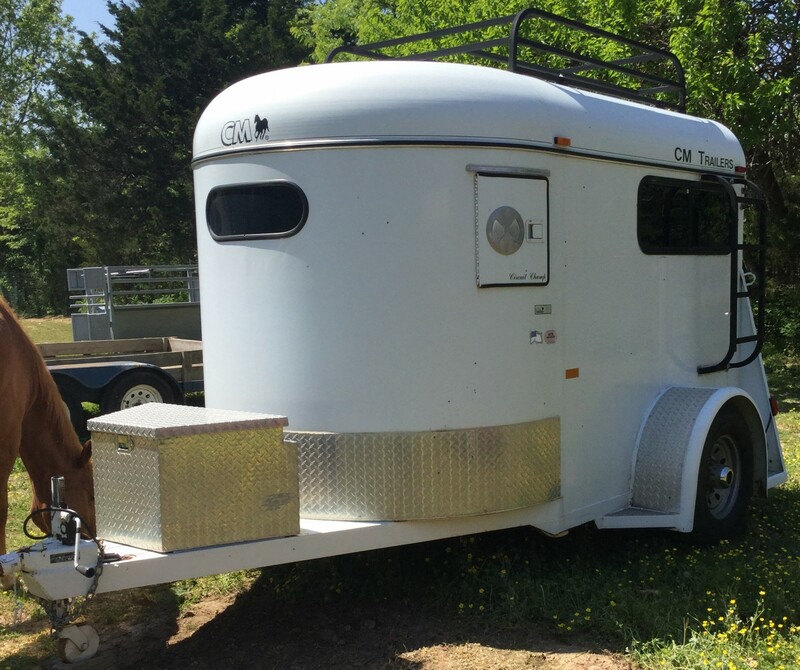 I have jokingly told people that my Glamper is a horse trailer with sunglasses, and our horse is very spoiled. Going to spend a few days in my Basecamp next week and I will hopefully have some pictures and moments to share with the group. At the end of the day, the proof is always in the pudding and over a given period time let's see how we do. Enjoy your Independence Day week! My best to your horses. BTW, does KOA provide bags to pick up after your horse? At the first state park into which we pulled our Basecamp, the ranger ask if we had horses in our trailer. Just got back from spending a couple of days up at the Concrete, WA, KOA. Was pretty fun. Didn't have a sewer connection at this site, so we had to be sure the showers were short, but we had a great time! The Basecamp would certainly appear to be a good candidate for weekend Boondocking. Thanks for the update. Glad to hear you had a positive experience with your Basecamp. I see from your photo that you’re still bringing your ice cooler even for a weekend trip. How did the fridge perform on this trip? Also curious to know how the BC fridge performed, and what the outdoor temps were. Hi! Great catch! Yes, the refer works, but is not effective. That is to say, the refer is slow to cool, and never quite gets cold enough to provide a refreshing chill to my beverages. Not sure I would feel confident putting any mayo products in there. Yeah, the outside temperature was about 84 in the peak of the day, but even at night when the temperature was 64, the refer is disappointing. It just never seems to get cool enough to provide a healthy and safe chill. From a space perspective the cooler option is just not tenable for much longer, so I may have to consider other options. the refer is slow to cool, and never quite gets cold enough to provide a refreshing chill to my beverages. That is disappointing . . . I know how much you wanted this to work. On my 4 outings, everything was really cold, the milk, meats, vegetables, but outside temps were never higher than 75 degrees. I expect my next 2 outings will see temps in the 80’s, possibly the 90’s. I hope the fridge will not fail me, but I will bring my ice chest just in case. I agree, the fridge takes a long time to cool. Before going on a trip, I plug it in to shore power and run the fridge for 24 hours before loading cold items in it. If the trip is longer than 2 hours in hot weather, I do run the fridge on propane while traveling. My latest issue with the fridge is that the door now tends to unlatch and swing open while driving. It doesn’t occur when there is nothing loaded inside. I will have to figure out a fix so it doesn’t ruin my next trip. I notice that pictures of the 2019 Basecamp seem to have the same refrigerator in the same location, so Airstream must feel they have solved most of the major issues. How could they continue to offer the same design if they felt otherwise? Cut a rectangular hole in the propane box where it blocks air flow. Worked for me.